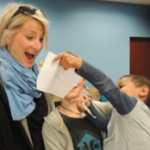 Art allows children to express creativity and emotions. 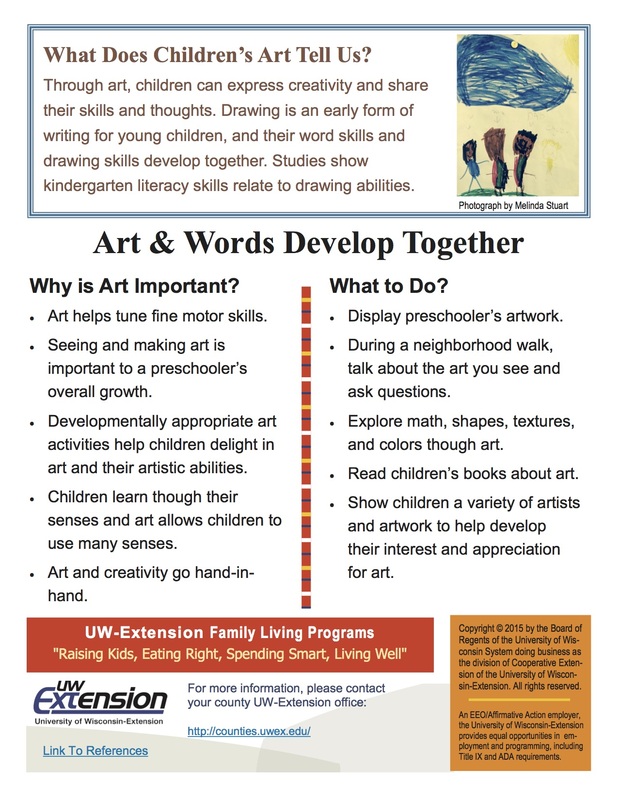 Did you know, however, that art also helps preschoolers practice writing skills? The fine motor skills needed to color within a shape or cut out an object give preschoolers practice for holding a pencil and writing. 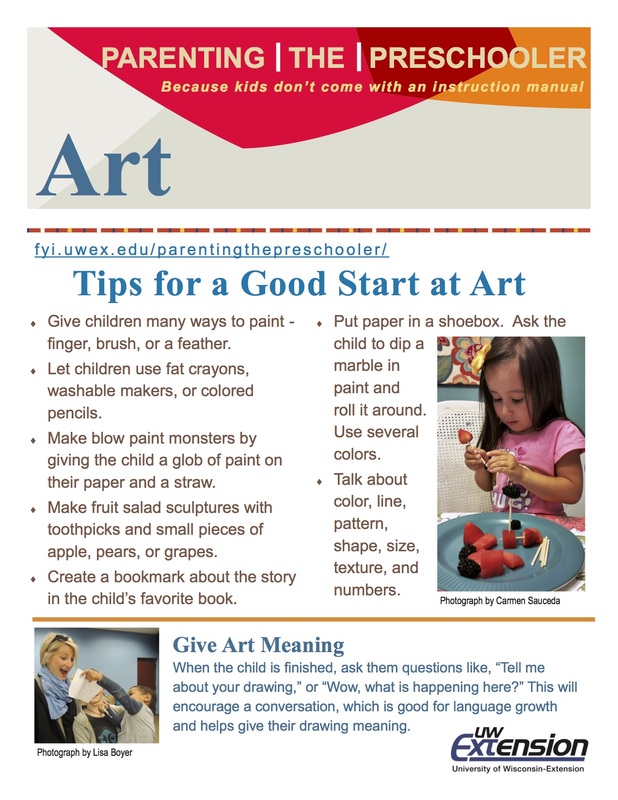 Read the fact sheet for a variety of ideas on how to encourage art with preschoolers. Riley, Dave et al. (2009.) 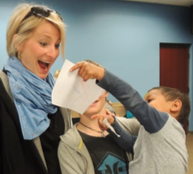 Why We Scribble and Paint. 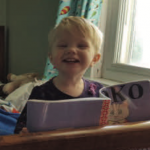 In Intellectual Development – Connecting Science and the Practice in Early Childhood Settings. (108-146). St. Paul, MN Redleaf Press, MN.